Many couples are purchasing their first home, or starting a family of their own. When planning ahead for your kids and their life experiences, a Sport Court has been a staple for many families as a safe place to play a wide range of sports. Furthermore, it's a place that creates invaluable memories that last a lifetime, allowing you to spend quality time together as a family. There are many variables that go into thze overall cost of building a backyard Sport Court®. The biggest influences on the overall investment are going to be size, site preparation and the components ("bells and whistles") for the court. We build backyard courts of all sizes from compact basketball courts for shooting hoops in a small backyard or side yard space, to larger half and full-court sizes when space is available. Bocce ball courts require a relatively small footprint, putting greens vary based on size and tennis courts require significant space to build. Either way, we will work with you to find the best court for your family, landscape and overall budget. AllSport America is the only Class A Licensed General Engineering Company and Certified Court Builder in Northern California. 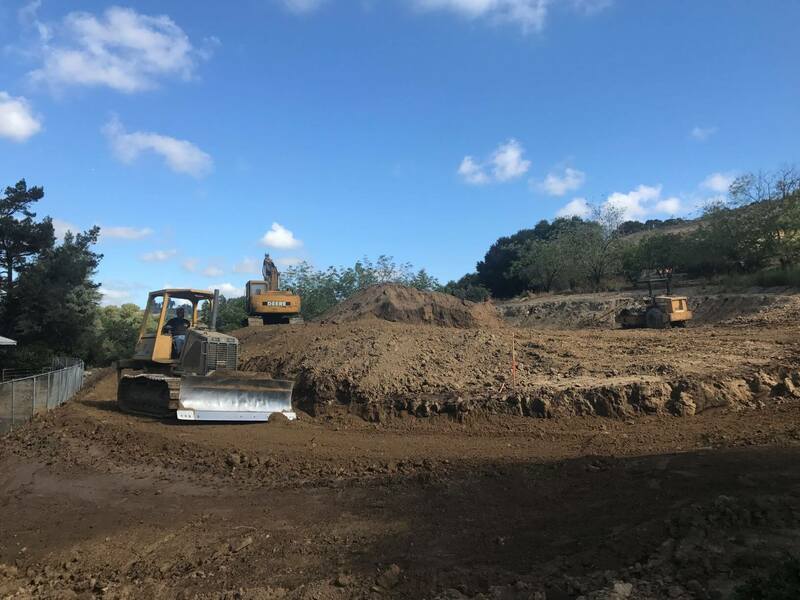 Our group understands everything there is to know about court construction, engineering, grading, compaction rates, and overall how to create long-lasting successful projects. Every court is unique, in that access is always different, the sub-grade and slopes are different and there may be a few objects in the way. We will come out to properly grade the area and achieve the correct slope and compaction in the sub-grade for the court. Our representatives use a laser to shoot the specific elevations of your yard and then works directly with our engineering staff to put together a construction plan for your project. If there is a large slope to your property, then the site preparation costs may impact the overall investment of your project the most. As large grading projects require significant earth and dirt movement, compaction, bigger equipment, retaining walls, off-haul, drainage etc. For this reason, no two courts cost exactly the same even if they are the same size. Limitations with access will also increase the cost of the project. Small 3' gates make it hard for 5' and 6' bobcat track loaders to access the space to handle the site preparation work. Sometimes we have the opportunity to temporarily disassemble a section of your fence or neighbors fence to access the area. If work needs to be done by hand, labor costs go up as the site preparation timeline will be longer. At the end of the day, there's always a crane that can lift machines and place them into backyards (this can be costly though too). The base material has to do with both the aggregate material that is placed underneath the foundation and the custom sports foundation itself. Aggregate material is pretty simple. The thickness of base rock/aggregate has a lot do with soil type and engineers soils reports. 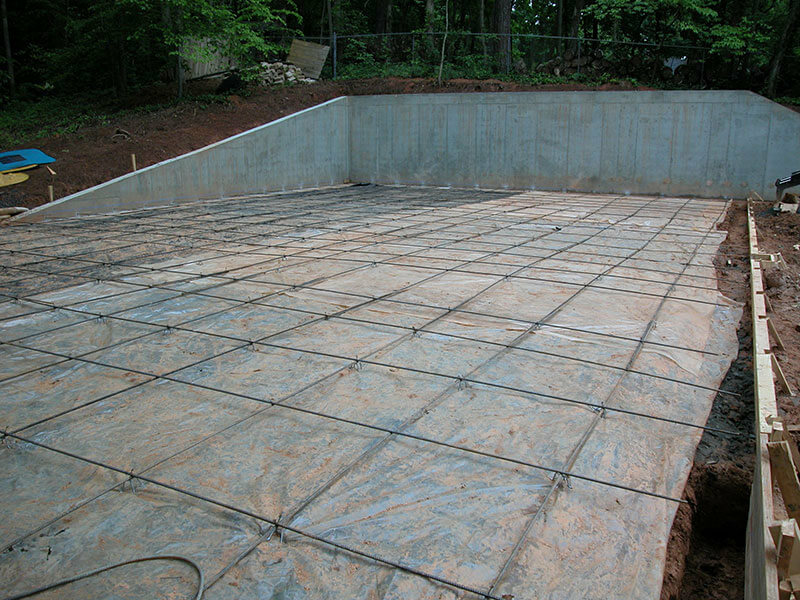 Many courts are built over a 4"-5” thick steel-reinforced concrete slab using 3500 PSI concrete. Concrete is always the trusted foundation for your court due to its permanency, strength properties, and low maintenance. Asphalt oxidizes as soon as its laid down, and over time anything that oxidizes becomes brittle. Thus, asphalt will be susceptible to movement in the earth and will eventually crack to no end. This means maintenance, patching, irregular ball bounces, and a big headache. 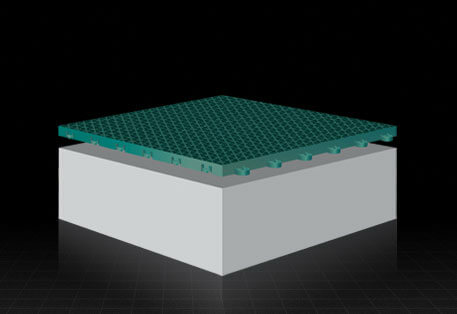 If you are looking for a less permanent base due to impervious coverage limitations or zoning restrictions, a portable modular base may be the perfect solution. SportBase is a popular product that we manufacture to help out with these situations. SportBase is completely pervious so water will percolate right through it. 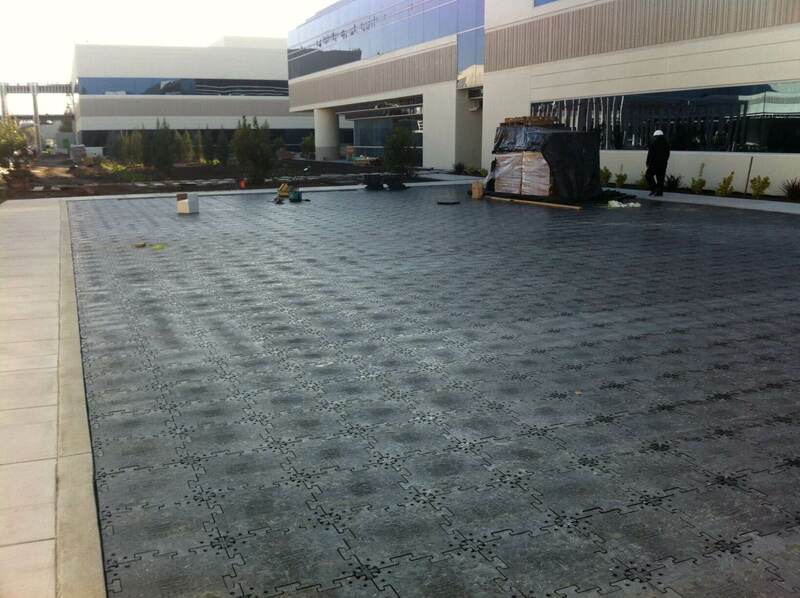 It's a very eco-friendly alternative to concrete and doesn't require concrete trucks, pumps or big equipment. SportBase is also safer than concrete, has 2-3 times the amount of shock absorption, and has the highest head-impact rating to help protect against injuries and falls. Regardless of the base material you choose, AllSport America can provide general specifications and estimates for your court. Pricing will vary, of course, based on the foundation chosen. Soil type, drainage, city ordinances, access, and environmental codes should all be taken into consideration when choosing the most appropriate base for your court. AllSport America Inc is the exclusive supplier for Sport Court®, NGI Sports, Connor, Gerflor, and Bocce Builders of America products in Northern California. The Sport Court® brand is known mostly for its high-performance indoor and outdoor athletic surfaces. NGI Sports is the leader in indoor/outdoor tennis court overlay surfaces, with optimal cushioning and ball bounce response. Connor Sports products are used for indoor weight/exercise room flooring. Bocce Builders of America is the largest bocce court surfacing company with low-maintenance bocce surface -- most notable is the Pacific Pearl surface. After the foundation is completed, all of our courts are installed with the surface of your choice. Our representative will go over all the options and samples with you, to help guide your decision. Most Basketball and Multi-Sport Game Courts have the Sport Court® PowerGame™ or SportGame™ surface on them, as these are the top rates surfaces for this application. AllSport America installs mostly Sport Court® modular products. Sport Court® products are designed and manufactured in Salt Lake City, Utah with the highest standards of quality, safety, and performance in mind. Sport Court products are rigorously tested – both internally and by third-party testing labs – to ensure their products meet and exceed specifications. Sport Court® PowerGame™ (the premier modular sports surface) provides the highest levels of performance and safety available on the market today. Independent third-party testing shows that no other outdoor modular sports surface surpasses PowerGame’s™ combination of surface traction, head impact protection, and low skin abrasion. In only a short time on the market, PowerGame™ has quickly become the number-one selling outdoor sports surface for athletes of all abilities. The cost of the surface for your court is relatively simple, compared to the various considerations with site work and base material. Once you have decided on the type of surface you want for your home sport court, AllSport America can provide pricing for your custom material. The court components selection for your court is where the fun really comes in! This is all of the accessories to make your backyard court truly unique to your wants and needs. After all, what’s a basketball court without the hoop? Components include things like basketball hoops, net systems, containment netting, rebounder systems, and court lighting. Your selection is completely custom and up to your family's desires! Almost 100% of courts have a tempered-glass adjustable basketball hoop system. 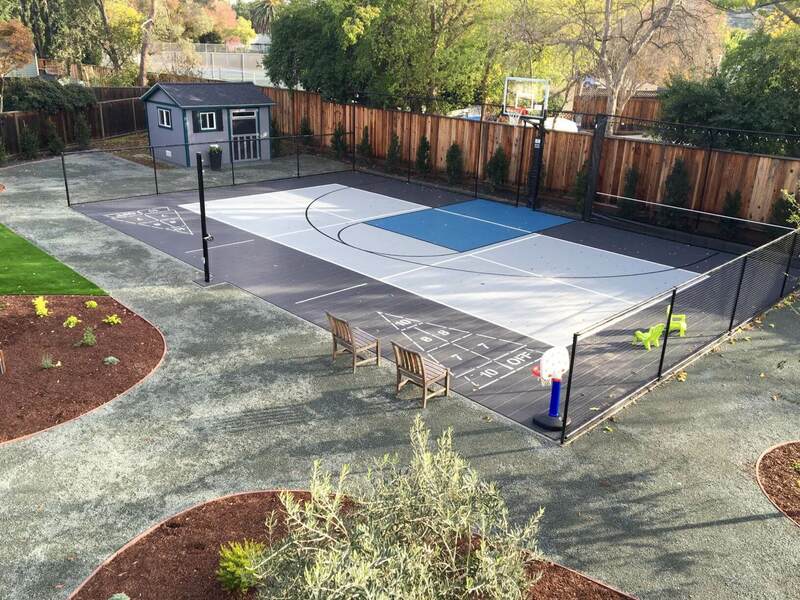 Beyond the backyard basketball hoop, we have multi-sport net poles, multi-sport nets, ball containment fencing, custom logos, rebounder systems, LED court lighting, futsal goals, custom striping for other sports and a number of other optional upgrades for your backyard court. Although you probably already imagine the type of accessories you’ll want for your backyard court, AllSport America can provide guidance and suggestions based on your needs and budget. Still not sure what you want? Take a look at some of our past residential basketball projects for ideas and inspiration! After all the selections have been made and the construction phase of the project is complete, it is time for the final piece! Depending on the court size and court components chosen, installation can take anywhere from 1-3 days. Most courts can be installed in 1-2 days, but sometimes tennis courts and game courts with lots of ball containment fencing and other customization can add a full day. Now it's time to get out there with your family and friends and start enjoying your brand new Sport Court®. This project is always a big investment for any family, but the larger investment is into the lifelong memories you and your family will get to share and remember for the rest of your lives. Your kids will undoubtedly grow up with a bigger passion and interest in sports, all while playing in a safe environment. Choose a contractor who is experienced in building backyard basketball courts and other game courts, like AllSport America. We will walk you through every single step of the process so this feels like a partnership from start to finish. 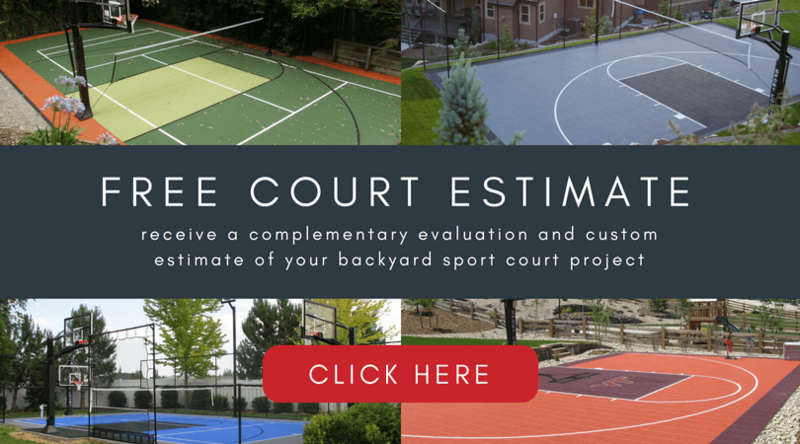 We can help you plan, design, finance, and build the backyard court of your dreams! We always say, "A Family That Plays Together, Stays Together."